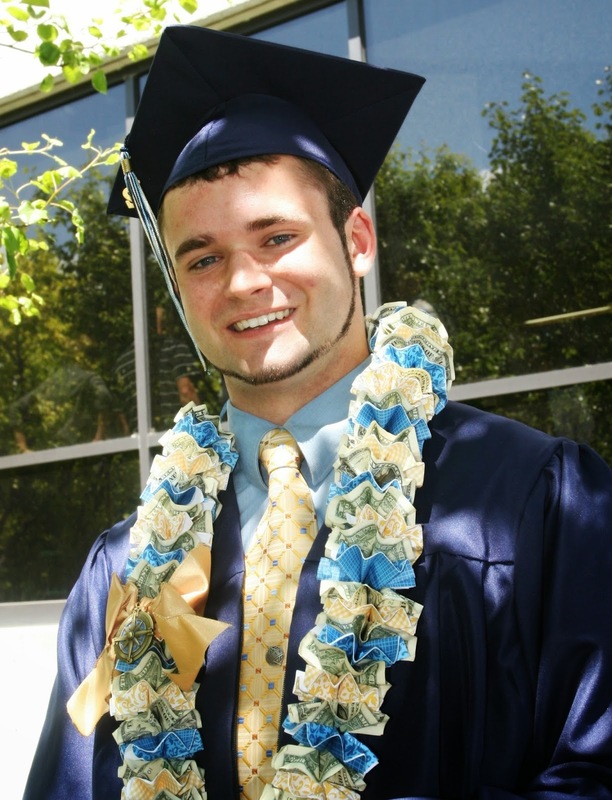 Two years ago, my oldest son graduated from High School. (Yes, I cried) Because he went to a school with a lot of Polynesian/Islanders, there were always a lot of Leis being worn at many events. He was on the football team as well, and it never failed that there would be Hawaiian Leis worn by the players after their games. Craziness, but fun! 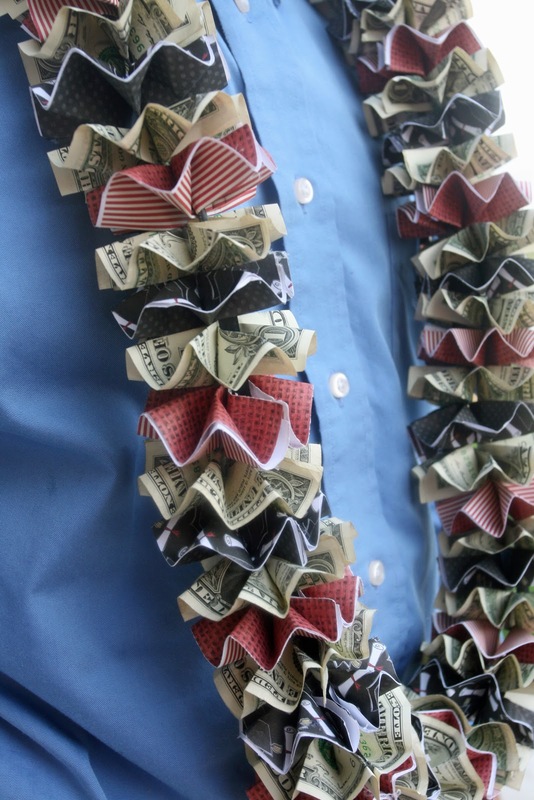 I wanted to do something unique for him for his graduation, knowing that a Lei was expected for the event, so I designed a Money Lei. (I also made a girls version for his girlfriend at the time which was slightly different, and shown at the end of the tutorial). Since that time I developed this tutorial to share my design. And yes, that's my handsome son in the photo below. Isn't he a stud? He's currently serving a 2-year voluntary LDS mission in Korea! I'm so proud of him! I recently shared the technique and the Lei shown above on a local TV show called "Studio 5" on KSL TV in Utah, where I live. I am sharing an updated version for their viewers, so enjoy! 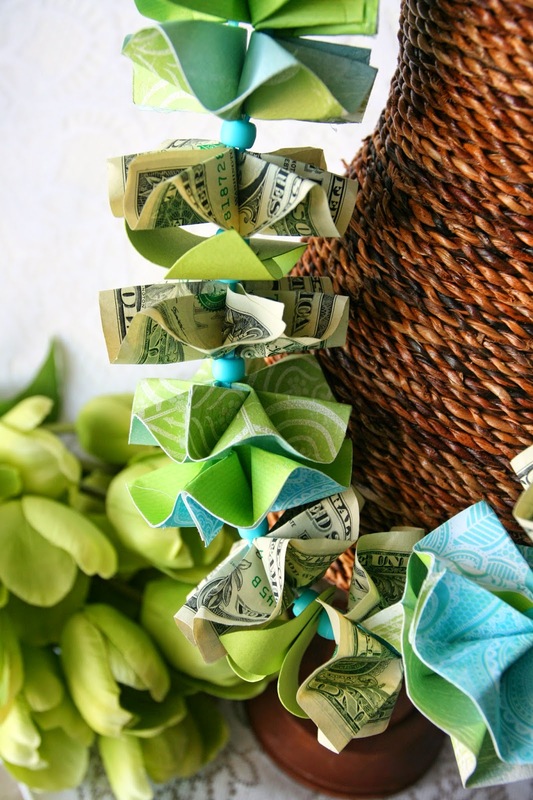 a) You'll want to determine how much MONEY you intend to include in the Lei. ~For the Lei above (the one my son is wearing) as well as the one I am using in the tutorial, I included $30.00 in One-Dollar bills. There are the same number of paper medallions as there are dollar medallions, so it is a good balance of money and paper designs (that equals 60 total medallions). This is a good size for guys, but a little cumbersome for little gals. ~For a scaled down version that includes some leaves and a little bling for the gals, refer to the end of the tutorial where I give more information. 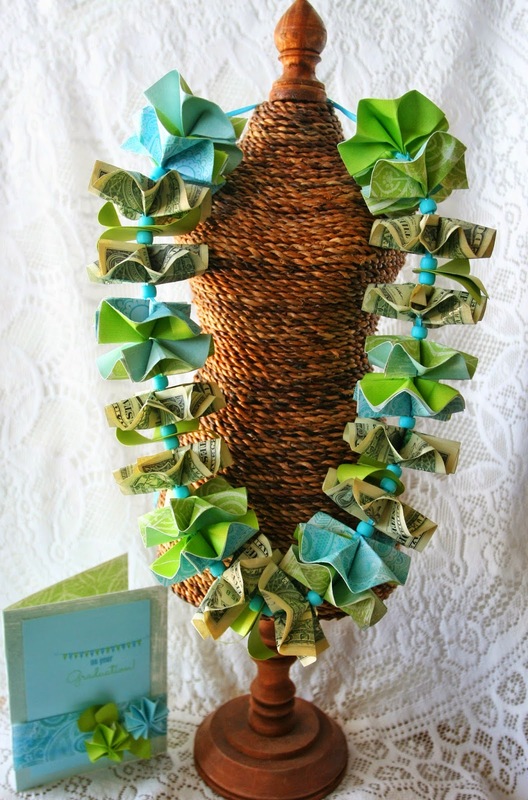 Note however, that in the girls version shown above, I only used 10 one-dollar bills, versus the 30 one-dollar bills on my son's lei. NOTE: Using larger bills such as 5's and 10's will allow you to get more money into a smaller lei if you choose not to make the 60 medallion size. b) You will want to determine what you are using for your paper as you plan your design. ~For the Lei shown above, I used 4 different designs of paper. That gave me 2 different designs of coordinating medallion. For the girls Lei shown on the dress form at the top, I used both a 2-sided reversible paper for one of the finished medallions designs, as well as a 2-sided one. I also decreased the number of total paper medallions I needed because I used more money in the overall design than paper, and I added leaves and beads, which changed the amount of paper needed overall. Amount of paper needed: For a 60 medallion lei (30 money, 30 paper) using 4 designs of single-sided paper, you will need 8 sheets TOTAL of paper, 2 of each design in the 12x12 size. If you are using 8x10 size paper, you will need 3 sheets total of each design. 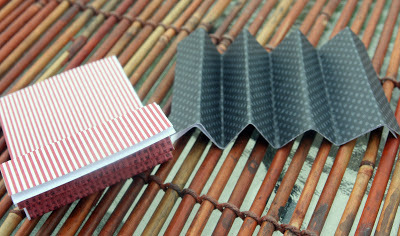 For a reversible 2-sided paper, you will only need 4 sheets of 12x12 size. If you are combining both 2-sided and single sided like I did in the girls Lei at the top, you will need to adjust your amounts. A thought about paper Color choice: The Leis I originally made for my son and his girlfriend were based upon their school colors. The concept worked great for him, as well as her because her gown and dress were white, and she had gold shoes. Besides which, their school colors are lighter and very natural looking. They both looked great wearing their leis with their outfits! However, another young lady might not like her school colors as well, or they may just be more masculine in tone. In that case, I would match her Lei to her outfit, or just do her favorite colors! I think that boys are always going to be fine with their school colors, but give it some thought if you're making a girls version. The lei example at the very top with the aqua and light green is one that I doubt would match any schools colors, but it's so fresh and pretty that I think it would appeal to a lot of girls. ~ 3 yards of Ribbon. I use a mid-thickness, rather than a skinny or thick width. You want it narrow enough that it will fit through the openings within the folds of each medallion, but not so thin that it doesn't have the body to hold it nicely. I used the cheap .50-.75 cent rolls of basic craft ribbon that can be found at most craft/fabric stores. There is ample ribbon on those rolls to make 2 or 3 leis. ~ Sticky Dots. I recommend a regular craft non-thick style. ~ Low Temp Glue Gun and sticks . Why low temp? Because high temp is not necessary for paper and you will get burns if you use HOT glue...trust me on this one!! 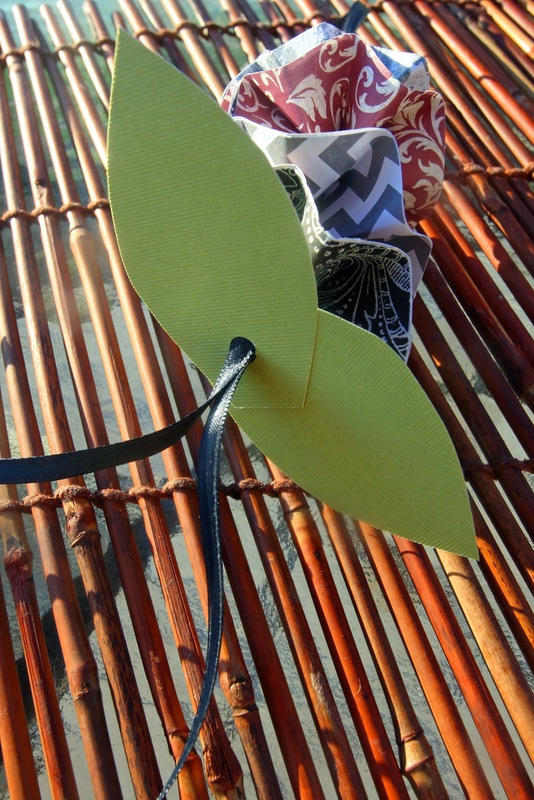 d) Once you have completed your Lei, keep it in a cool, dry place. DO NOT LEAVE IT IN A CAR or in the sun! The glue will come undone and you will have to make repairs! Also: Plan ahead to bring a baggie of the glue dots with you to the graduation ceremony in case you do have to make any last-minute repairs. NOTE: The tutorial shown below is making the Lei that is shown at the very end. 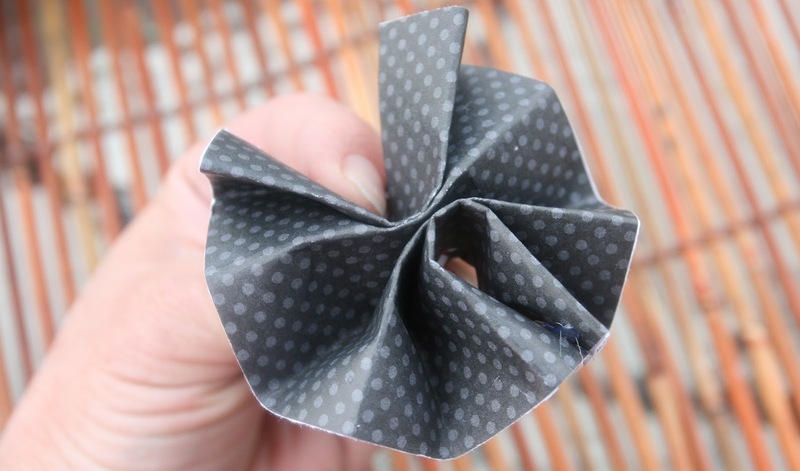 Fold all your Bills in fan-fold design. I do 7 folds per piece, with each section measuring about 3/4". 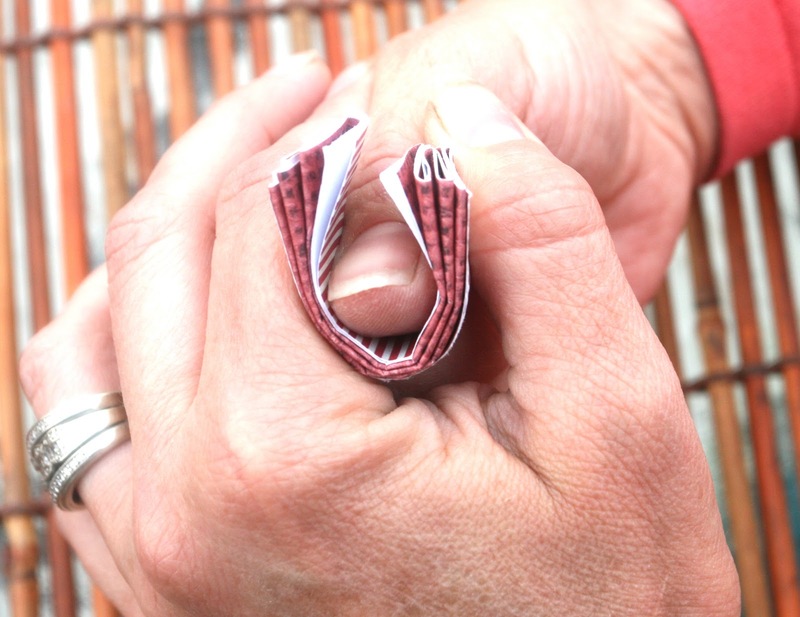 You can refer to the photo below for the size of each fold. You should have 4 "peaks" on one side, and 3 "peaks" and 2 "edges" on the other side. Cut and fold all your paper pieces. I cut mine into 2 1/2 inches wide after cutting each full sheet of paper in half so that the length of each piece is 6 inches long. This is slightly less tall than a bill, but I like to do it quickly, and that's an easier measurement to work with. As well, you will be able to get more out of each piece of paper. If you do it exactly the size of a bill, you will need more paper. Doing it at this size yields 8 pieces from each sheet. That gives you 16 pieces of each design when you are done. The size difference between the paper pieces and the bills is not noticeable at all. NOTE: This step is where you will be deciding how your want your design to look. How you layer your papers is up to you, but pay attention to how you are layering them as you go along. Once you have your pieces cut, lay one design on top of the other, backs together, in the pattern desired. Make sure the edges line up perfectly or you will have white edges showing when you are done (this is where double sided paper comes in handy if you can find some you like). 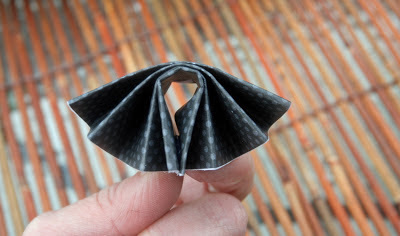 Fold in the same way as you did the bills. Note that if you have done the proper amount of folds, you will have one side of the medallion that has 2 "openings" and one side that has two "folds". 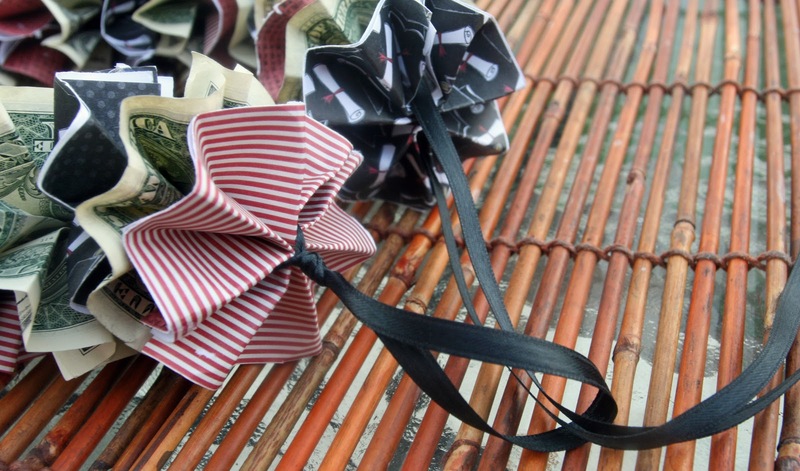 (refer to the 2 photos below of the folded and glued medallions). Once the papers and bills have been fan-folded, you can start assembling the medallions. I start by pressing my thumb into the center of each piece to form a semi-circular opening. This helps the medallion to have a more natural rounded shape as you start to glue the ends together. 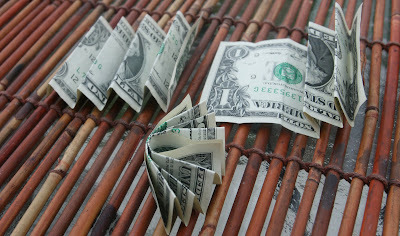 Do this on both the bills and the papers. The picture of the 3 bills at the top shows the front bill rounded as described. For Papers: Using a glue gun, apply a line of glue to the edge of one side of the paper, and then press together the edges. Hold snug for 4-5 seconds, and then do the same on the other end. NOTE: I use actual low temp glue in a HOT glue gun for the paper because I found it easier to work with. Using a fine point tip if you have it makes it easier to tuck in stray folds of white paper at the ends of the folds. Using glue dots to do the PAPER part of the process means that you will go through a lot of glue dots and it will take longer to construct your Lei. Plus, you're more likely to have to make repairs because the glue dots are less able to hold the thick paper medallions. The bills are very thin in comparison to the paper. The first Lei I made I used the glue dots to hold everything and it was a pain in the buttocks to secure the paper edges with a glue dot! Plus they kept popping open. Trust me, use glue on the paper pieces and you will be happier with the end result! For Bills: Use low-profile sticky dots to hold the bills together at each end. WHY do you need to use sticky dots instead of hot glue? Because the graduates are going to want to REMOVE the money and hot glue will RUIN the money! When you have folded in both sides, you will have two small openings in the center of each folded and glued piece of paper. See that little edge of white showing on the front of the black medallion? That's where the glue gun will come in handy...just a dab to hold it down. The bills will also have the same openings, but you will have used glue dots instead of the glue gun. Fold your length of ribbon in half, creating a loop at one end. 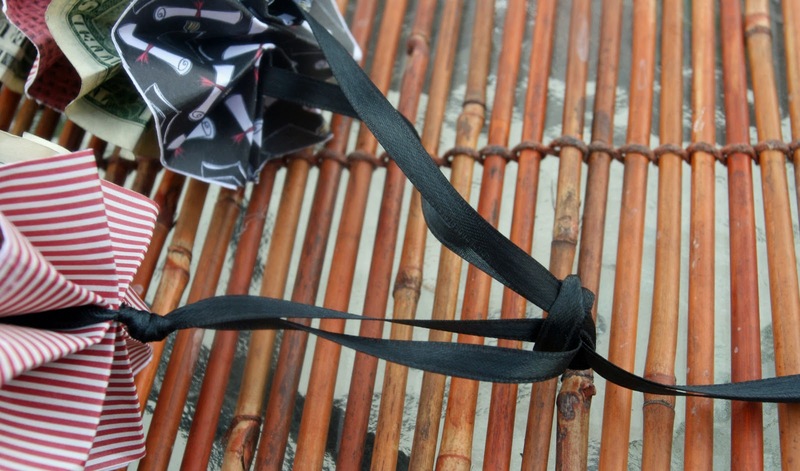 Wrap the ribbon over itself and create a knot, leaving a loop at the end, as shown below. The loop only needs to be a couple of inches long and as the steps proceed, it will make sense why you do this step. Add one of the paper medallions onto the ribbon by inserting each strand of ribbon through one of the holes. Only one strand per hole, and you don't need to keep track of which side goes through which hole, because it all aligns itself just fine. NOTE: You will want to pay attention to your design beginning with the placement of this first medallion. Decide now if you want your designs all going the same way or not. It's up to you how your finished product looks! For this first medallion ONLY, tie the two ribbon strands together, forming a knot in front of the medallion. This is only to keep things lined up correctly. Don't skip this step, it does make a difference in how the lei, well...lays. haha. Don't do it after putting on any of the other medallions...this one only. Now you can layer on the remainder of the paper medallions, as well as the bill medallions. Keep your pattern in mind as you go. I didn't worry about keeping track of whether my bills were up or down because the pattern is not as obvious as the paper. 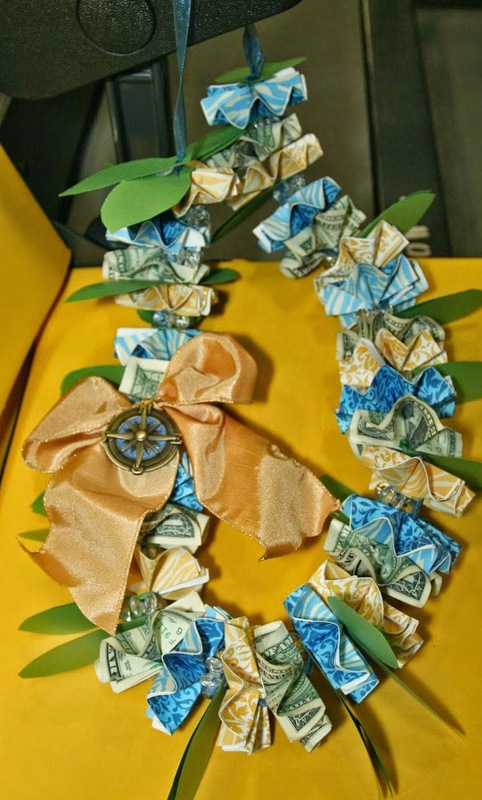 When I did the leis for my son's graduation, I alternated the patterns, but for this lei, I keep the papers all going the same direction throughout the design. Again, it is up to you how you want your final design to look! When you have strung all the medallions onto the ribbon, you will be left with a length of the double strands of ribbon. Do not cut this ribbon yet! Note that I have tied a knot in the ends of the ribbon below. I have FIRST pulled the double strands THROUGH the opening of the loop and adjusted the length to where I wanted the entire lei to hang. 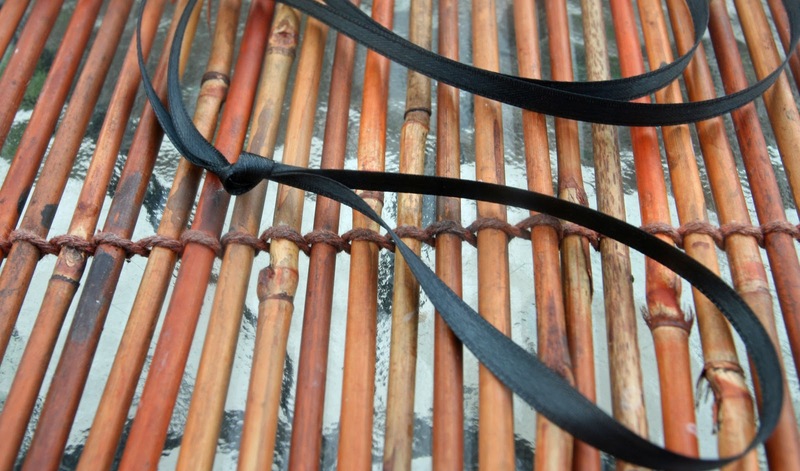 In other words, this section determines the final length of the lei. You can now cut the excess ends off, but leave a short section so that the knot can be easily untied if needed. For comforts sake, it's best to leave this small opening at the back (top) of the lei so that the wearer doesn't have the rough and somewhat sharp edges of the medallions rubbing against their neck! Also, for the girls, their hair won't get stuck in the sticky dots as easily. I had a few edges that needed tightening up with the glue gun, which I did before I delivered the final product to the friend who ordered if from me. I am including a couple of pictures of other leis that I have done for girls. The one directly below was for $50.00 rather than $30.00. That's WAY too much bulk to work with in with one dollar bills, so I used larger bills. Also, because Girls Lei's need to be a little smaller (in my opinion, otherwise they overpower them), I had to formulate a different design than I have previously done. I will list out the pattern for this one to make it easier for anyone who wants to follow it exactly for the gift money amount of $50.00. ~Leaves in quantity of choice (I did 4 sets of 2, but I wished that I had done 6 sets and had them at the ends). ~On either side of each leaf set, I put a Five dollar bill. For the leaves, I just free hand cut out the amount I needed. I used a heavy weight textured paper, and I ended up rolling the leaves around a pencil to give them some curl....though I did that after I took the picture, so you won't be able to see that. But, you can see it in a picture following on another wreath. In the pictures below the next one, you can see a different style and quantity of leaves used on the girls leis that I have made besides this one, including the one from the beginning of the post (on the dress form). I punched a hole in the base of each set of leaves, and then I put BOTH strands of ribbon through at once. I also used beads on 2 of the other leis, and I sent both strands of ribbon through those as well. For the Lei below, I had also added in clear "wagon wheel" beads after each set of leaves that I put into the design. 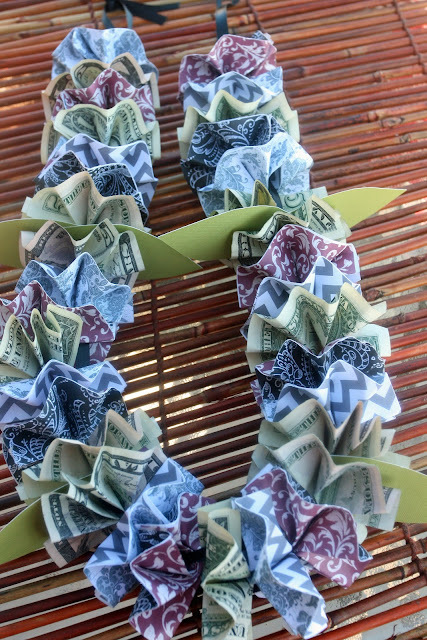 This Lei only had $10.00 in ones, so it was much less to work with. My pattern was a little more random with this one, but it looks like I used roughly 20 paper medallions. 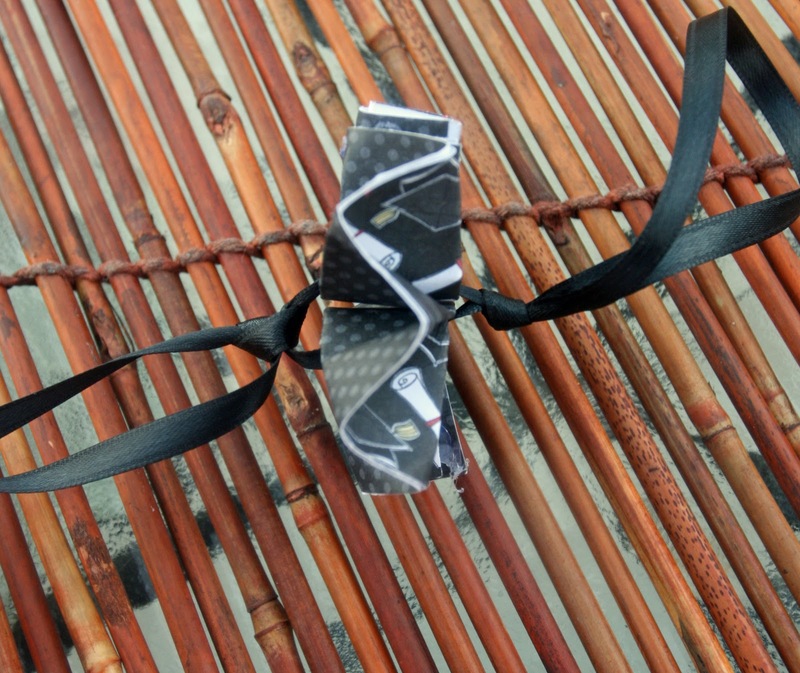 In addition, I want to point out the Compass charm and ribbon on this one. This was the matching girls version I made for my sons girlfriend. Their school colors were what I based the design off of, and their Graduation THEME was a compass and the quote "Go confidently in the direction of your dreams". I found these medallions in the jewelry section at Hobby Lobby and knew they would be perfect. And they were. I added the bow and the compass charm after the lei was fully constructed. 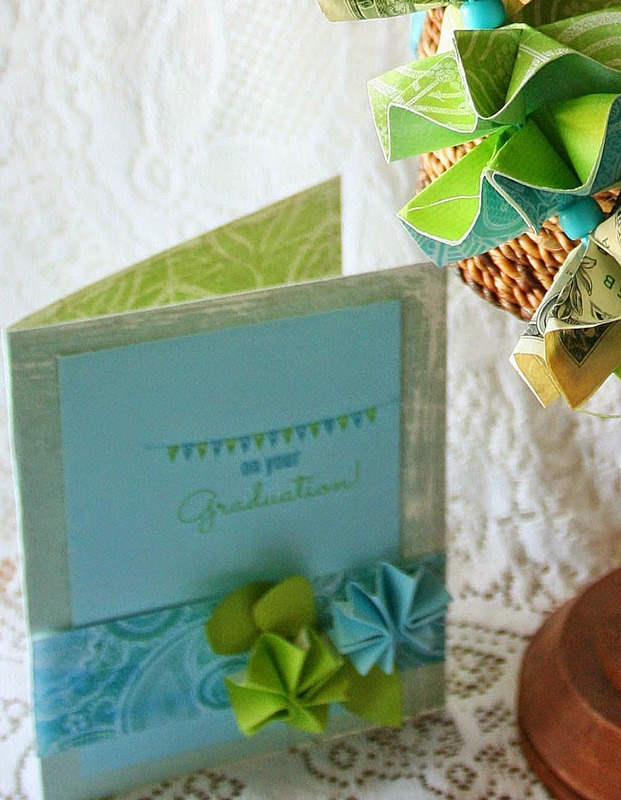 Anything that fits the graduation theme or the student's interests could be added. Here's a close-up of the one from the beginning so you can see the beads and the leaves. I did the leaves in sets of 3 and curled the edges. Also, I did money back to back, with the leaves in between the bills, instead of being mixed in with the medallions. As I mentioned before, the design is up to you! I used inexpensive "pony beads" in this one, mostly because the opening is large enough to feed the ribbon through! Keep that in mind if you plan to add beads...you need as big of an opening as you can find, and you will have to use thin ribbon as well. You can thread through an embroidery needle to use a smaller and fancier bead, but it will still be a challenge. One thing that I want to stress with the girls Lei's, especially for young ladies that have long hair....make the ribbon length LONG so that the glue dots don't get stuck in their hair. You can extend the design with beads if you choose so that there is not just an extra length of ribbon left un-adorned! And, when you are all done, you can take your leftover pieces of paper and make a custom card to go along with your gift, like I did in the picture below: (Sorry it's not really focused on the card). So that's it! If you have any questions, please feel free to ask. I always answer my reader's questions! Thanks for visiting my blog! Watch it LIVE here at KSL STUDIO 5! 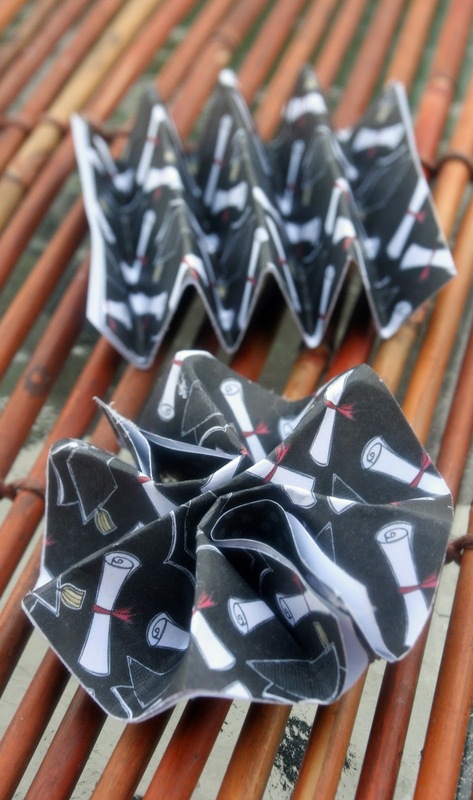 Making this for my little brother's graduation!This is awesome. A fun way to present a basic gift (money). Thanks Tessa and Adam! Hope he loves it!! I came to your blog through Utah Bloggers, but then I realized who you were. I made this lei for my brother's graduation and he received so many compliments on it! Thank you for sharing your talents! I was looking for a unique way to gift money to my grandson for graduation when my search lead me to your blog. You did an amazing job with your insructions and step by step pictures !! I now have an addiction to my glue gun :) Thank you for making his day shine!! I know that he loved it because he was still wearing it at the open house!. Thanks Shambray and Indymom! So glad that the instructions helped both of you to make your own leis for your graduates! Aren't they fun? I am creating a whole new design for my neice's lei this year. It's pretty kookie but AWESOME! I can't wait to post teh photos this week!